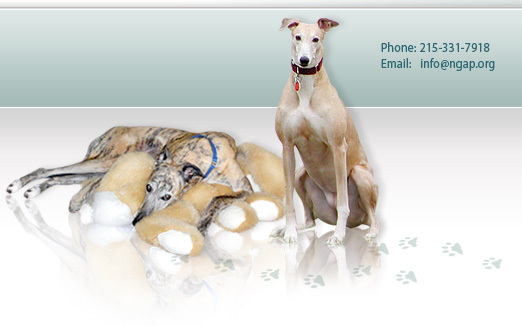 Despite residing in Pennsylvania, I have been an advocate for the greyhounds in Florida for about 20 years now. I even once spent an entire winter in Tallahassee attending Florida legislation sessions which impacted racing greyhounds. From time to time I get messages from people in Florida regarding issues that the state should have the ability to impact. Sometimes the information I get is correct and sometimes it is incorrect, and if you know Royal Logan he will tell you exactly that! I was recently informed that the Naples-Ft. Myers track would not permit any dogs to stay beyond June 2, which would put many of them at risk for euthanasia. I find it difficult to believe that the state would permit this to be the case and ask for your clarification of the specifics of the dogs leaving that facility. Since it is already past the date the dogs were supposed to be out, your timely response would be greatly appreciated. 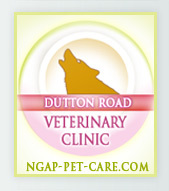 If you would like more information on our organization, please visit our website at www.ngap.org. On behalf of Director Milt Champion, thank you for your correspondence to the Department of Business and Professional Regulation regarding racing greyhounds at Naples-Ft. Myers Greyhound Track. In June 2009, the division approved Naples-Ft. Myers Greyhound Track's request to delete its live races scheduled in June 2010. Those deleted live performances were added back to their racing schedule on Tuesdays and Thursdays from January 2010 to May 2010, resulting in an increase in the number of live performances. In Naples-Ft. Myers Greyhound Track's application for the 2010/2011 year, they requested to begin their live racing on November 5, 2010. Their application for the 2010/2011 year was approved March 15, 2010. The division does not have any regulatory authority to approve or deny racing a greyhound's destination once it leaves a racetrack. It is our understanding that the Greyhound Adoption Kennel in North Ft. Myers has been working diligently to have the retired greyhounds from Naples-Ft. Myers Greyhound Track adopted. While those wait for adoption, greyhounds still racing were relocated to race at Flagler Greyhound Track in Miami. 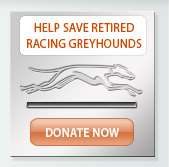 The following is a link on an article you may find interesting regarding the retired greyhounds in Naples: http://www.naplesnews.com/news/2010/jun/03/retired-age-4-20-plus-racing-greyhounds-need-home-/ . We're encouraged to know that the adoption agency was prepared for the change in racing dates and are ensuring that the retired greyhounds will not be euthanized. I hope this information is helpful to you. Please let me know if I can be of further assistance. I have been the Director of the National Greyhound Adoption Program since its inception twenty years ago and in that time have had considerable interaction with Royal Logan. I strongly feel that the Pari-mutuel division should take a more pro-active stance regarding the welfare of greyhounds that race in Florida. Without looking up the exact paragraph in the pari-mutuel regulations going back to 1993, I believe it is the intent of the State of Florida to look after the welfare of racing greyhounds from the time they are born and for the duration of the time they spend racing in the state. Although the wording was very general, I understood it to mean that the state would want to know each and every greyhound that is on the track when it closes and where each and every greyhound goes until the kennel is empty. Tracking the dogs, being assured of their welfare, and not forcing them off the premises by a particluar date takes some considerable action and monitoring by the state. The vague rhetoric that you sent me in response to my original email does not indicate that any of these things are being done. In fact, it didn't tell me much at all. What I want to know is how many dogs are left in the compound? Is the compound still open? What is happening to the dogs and what has happened to the dogs in the 30 days prior to the track closing? This information would show me that the state is committed to taking responsibility of these dogs. What is being done during the track closure period to potentially upgrade the kennel. It would be nice to have the dogs return to a better atmosphere than the one they left for the next racing season will return. Many states do upgrades of various degrees during the off-season. It is also high time for the pari-mutuel division to support legislation that would potentially end live racing on those tracks that wish it to happen. Let everyone play cards and pull slot machine handles and no one will have to worry how many greyhounds will be euthanized. I remember many years ago, the then-director of pari-mutuel wagering asked me if it bothered me that trenches were being dug a half-mile from JCKC and that dogs were being euthanized and dumped in those trenches. My response then was that it didn't bother me that it was being done that way, it was how often and how many that bothered me. JCKC still has a kill truck that goes by every week to pick-up non-performing greyhounds.. What is Florida doing about that? Have you visited the JCKC compound lately? The last time I was there, you could smell it from 100 yards away. The carpeting reeked and the turnout areas were so small that a kennel staff worker had to pick-up poop as it was dropped or it would surely be stepped in. I don't believe that is what 'care' implies in the legislation that was passed after Hurricane Andrew. I suggest you visit our website and view the photo album to see how our dogs live, sleep and play and compare it to that of any track in Florida.